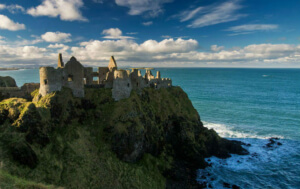 Why cruise around Ireland? Look at a map of the island and you’ll understand why it has such a great reputation as a playground for boating enthusiasts. 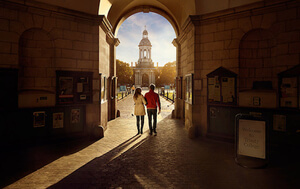 With hundreds of inland lakes, as well as a network of rivers and canals, there are endless opportunities to relax and see Ireland in a whole new way. These waterways have been the lifeblood of the island for thousands of years. 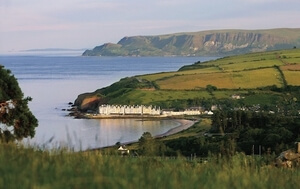 Today, you can use them to explore stunning landscapes, historic sites and quiet villages, availing of activities as diverse as angling, windsurfing, kayaking and golfing. And as your mode of transport is also your bed for the night, you’re saving money all the way! 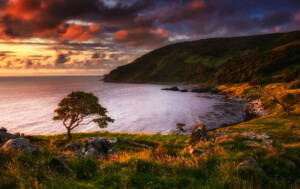 A combination of easy-to-skipper boats, no commercial traffic, and no licence requirements means that a cruising holiday in Ireland is pretty much stress-free. Training is provided by rental companies, and even those with no experience will find vessels simple to manage. The island’s boat rental operators know the waterways very well, and can advise on the type of vessel you'll need for your type of holiday. Tell them how many people will be on board, what activities you all enjoy, and if you have any particular region of the island that you’d like to discover. With your vessel also being your accommodation, cruising can be exceptional value for money. Most boats offer excellent onboard kitchen facilities, so you can whip up feasts morning, noon and night. However, it is advisable to avoid having more guests on board than you have fixed berths. If your guests outnumber the berths, two smaller boats is a much better option. Navigational signs (red and white in Northern Ireland, red and green in the Republic of Ireland) are clear and concise, while lifting bridges and locks are either automated or manned. Ireland's lock-keepers regularly act as local expert for any questions you may have about the area and locations ahead. 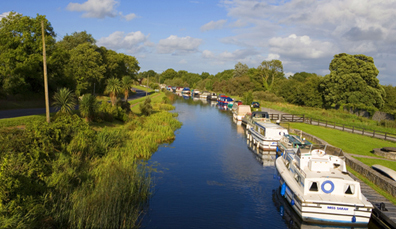 Ireland’s waterways offer a broad range of safe and secure mooring options. One day you may be docking at an urban setting like Athlone, while a few days later you’re surrounded by silence at a Lough Erne jetty. Wherever you choose to moor, you're often a short stroll from a cosy local pub, café or restaurant. You don't need a licence to go cruising in Ireland. 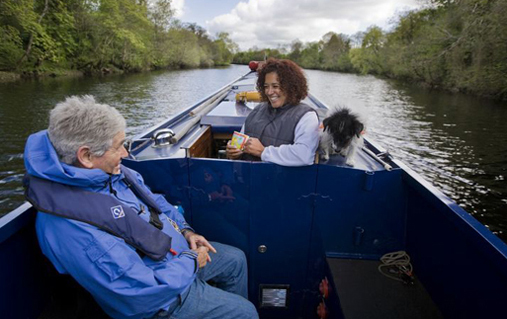 There's no commercial traffic on Ireland’s waterways. You don't need previous experience – training will be provided. 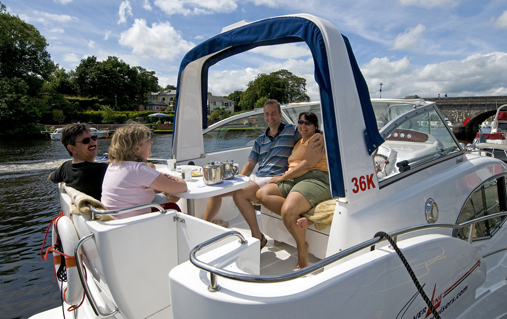 The ideal time for cruising in Ireland is between Easter and October. You get accommodation and transport for one price on a cruising holiday. 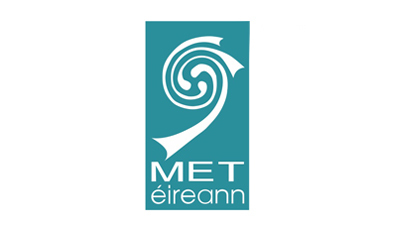 Stay up to date on the weather via Met Éireann’s website, apps or TV and radio broadcasts. See the UK Met Office for weather specific to Northern Ireland. 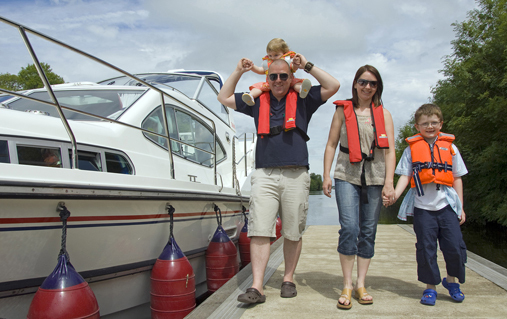 Safety on board is of paramount importance, so make sure all members of your group are present when being shown around the vessel, especially when being informed what to do in an emergency. You will also be given a ‘captain’s handbook’, which will include all the information you need for your boating trip. Before you head off, ask your guide about any secret spots that they would recommend you look out for. Be prepared for the weather. A warm jacket for cool crisp evenings, waterproof clothes for a spot of rain and sun cream for those long sunny days will all come in handy. Although there is no real ‘off season’, the high season for water travel is typically considered to be between Easter and October. The month of June boasts the longest daylight hours, while July and August are the most popular periods for cruisers. The pleasure of mooring up and exploring the surrounding villages, towns and countryside at your leisure is what makes cruise travel so enjoyable. 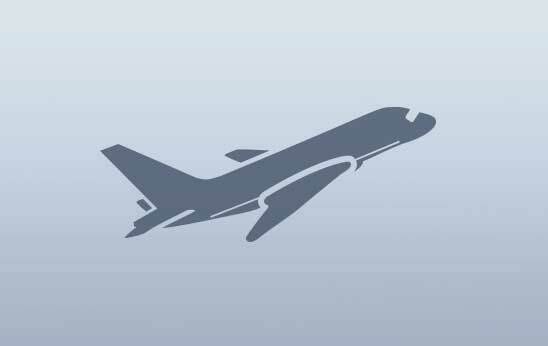 So don’t be too ambitious with your itinerary, and include plenty of spare time for excursions in your daily plans. Weekend food markets, grand country houses and bustling towns are just some of the must-sees on your trip. 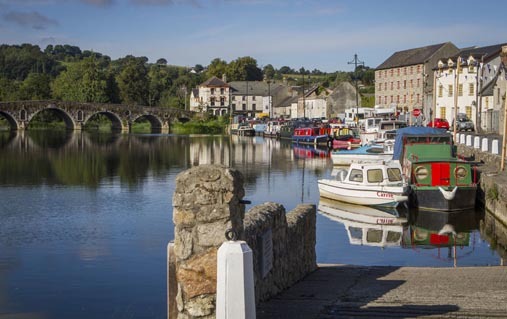 One way rentals are available and some users do find them more suitable for river journeys, but Ireland's lakes really lend themselves to return journeys as they loop out and around the lakeshores experiencing all that views and villages can offer. Don’t fancy manning your own vessel? Treat yourself and try a luxury skippered cruise. Cruising isn’t all about staying on board. 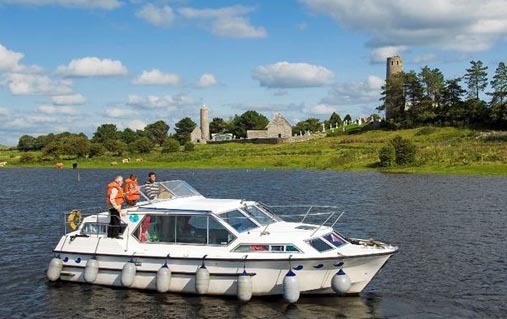 Get onto dry land and discover historic hotspots, such as Devenish Island (Lough Erne) and Clonmacnoise (Shannon). 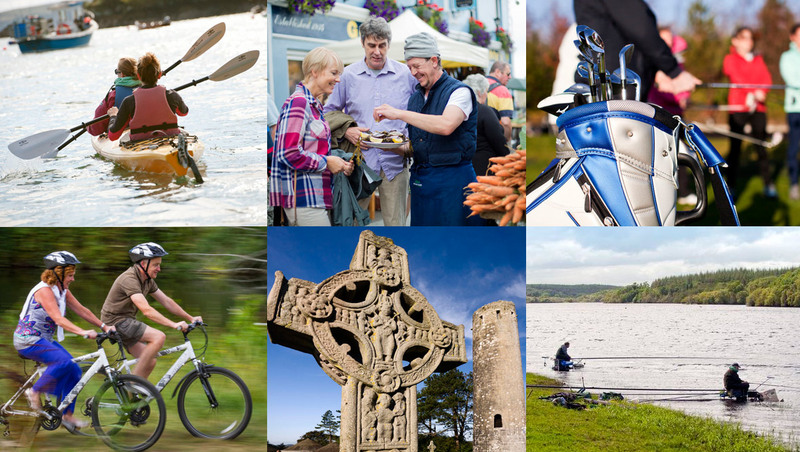 Explore the countryside by bike or on foot, or maybe even find time for a round of golf. And if the lure of the water is too strong, try canoeing, kayaking or just picking up your fishing rod. 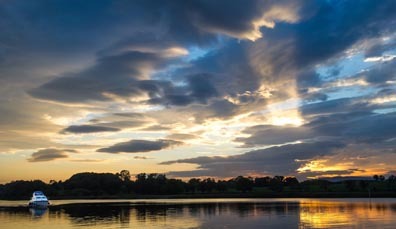 Coarse angling on the Shannon and Erne (roach, bream and tench) or game angling for trout on the Erne are always popular. Your boat rental company will be able to provide you with information on where to hire this equipment or places where these activities are available. Most local towns and villages will have bike rental shops (note that bikes can be rented with your vessel, too), and some golf courses rent clubs if you don’t want to bring your own. With these pristine waters by your side, it’s not uncommon to see people cruising in the morning, and learning how to canoe, kayak, paddle-board or even surf in the afternoons at scenic locations like the family friendly Shannon Blueway. Top off your days by watching the sun set over a quiet meal before enjoying the buzz of the local town. 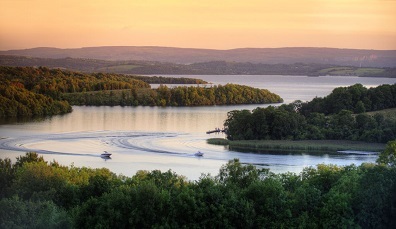 Lough Erne’s scattering of lakes, castles, fine foods and friendly towns make for an enchanting cruise break. 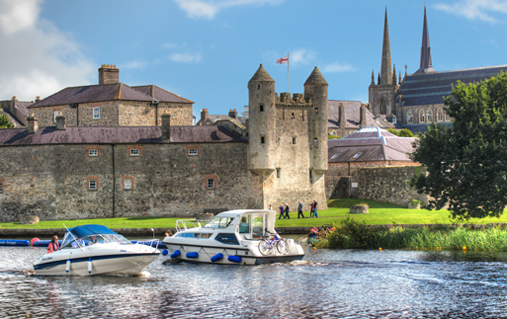 Cruise Ireland’s longest river, and experience an epic journey filled with history, activities and fun.